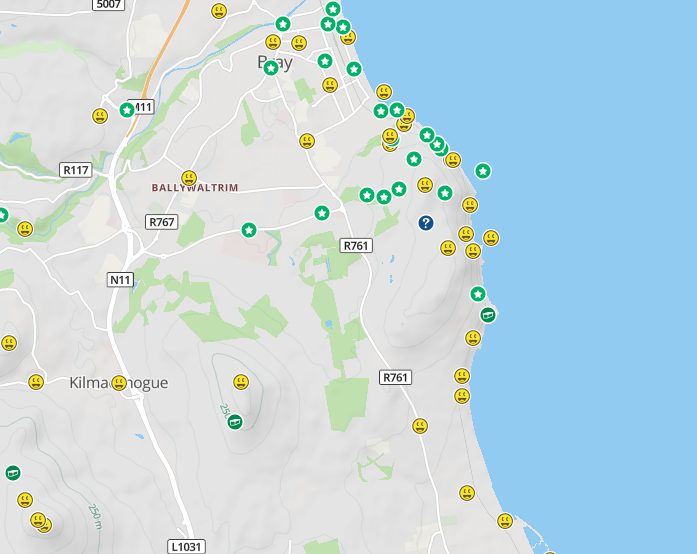 Since Europe’s First (GC43) is hidden in my hometown of Bray in north County Wicklow, I often receive requests for information and advice from geocachers planning to visit Ireland to target the famous cache. 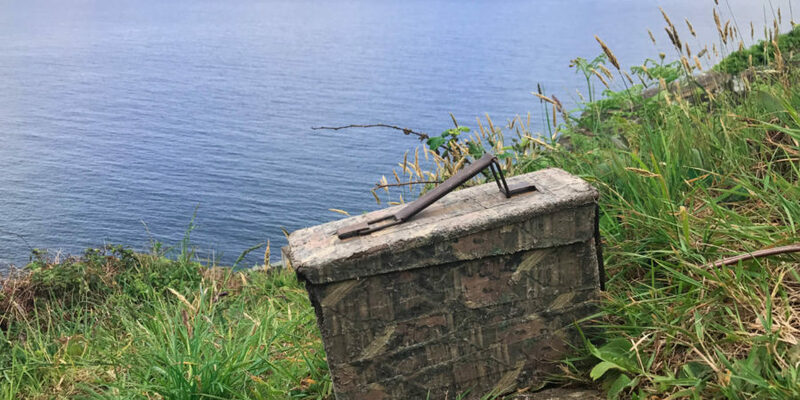 I always enjoy hearing from geocachers the world over who are planning on making the pilgrimage to Bray to make this historic find. I thought it would be a good idea to have my general tips and recommendations in one place so visitors can use it as a reference guide when planning. 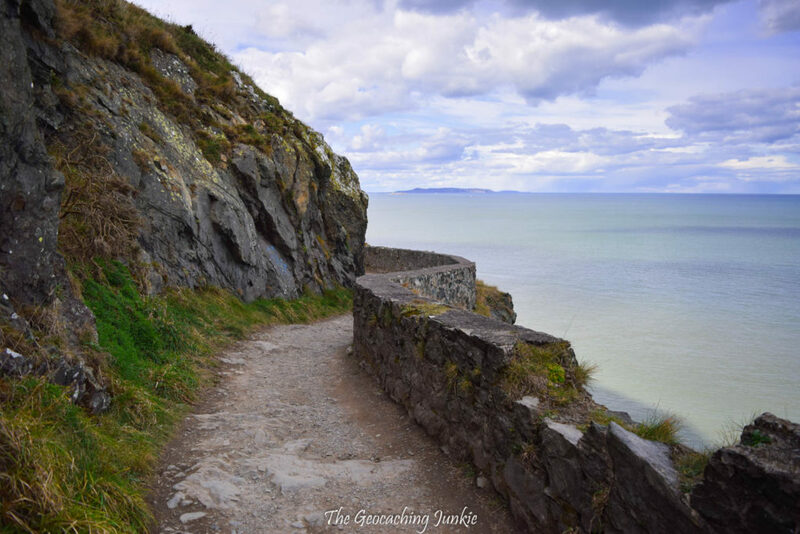 Europe’s First is located along the Cliff Walk, a trail that winds its way around Bray Head, all the way to Greystones, the next town over. The route starts on the Bray side at the Raheen car park. The path is flat and well-worn all the way to the spot where a short ascent on rocky ground is needed to reach the cache location itself. Watch out for loose stones, particularly on your descent, as I have landed in a gorse bush after slipping on one occasion! 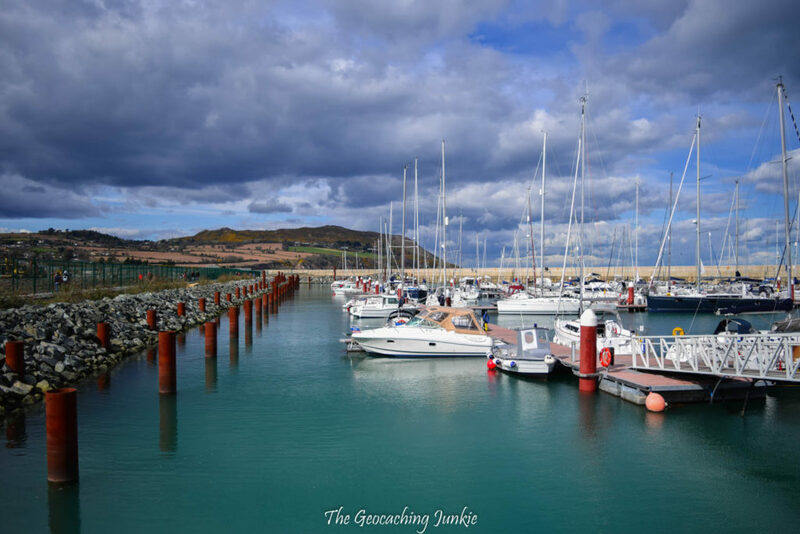 The trail stretches for about 6 km from the car park at Raheen to the harbour in Greystones and has a variety of caches for visitors to enjoy while they are in the area for GC43. The hides range in terrain from a T1.5 EarthCache (02 Cliff Walk – Bray Head Rocks, GC5D1BP) to a T5 wherigo (75 A Walk in the Garden – Bray Head, GC5TFZ4), and in difficulty from a D1 traditional (The Brandy Hole, GC3DNCZ) to a D4 mystery (The Wanderer, GC3FVWM). The trail is not suitable for pushchairs in parts, as it isn’t flat in its entirety, with a few narrow steps to tackle at one point. 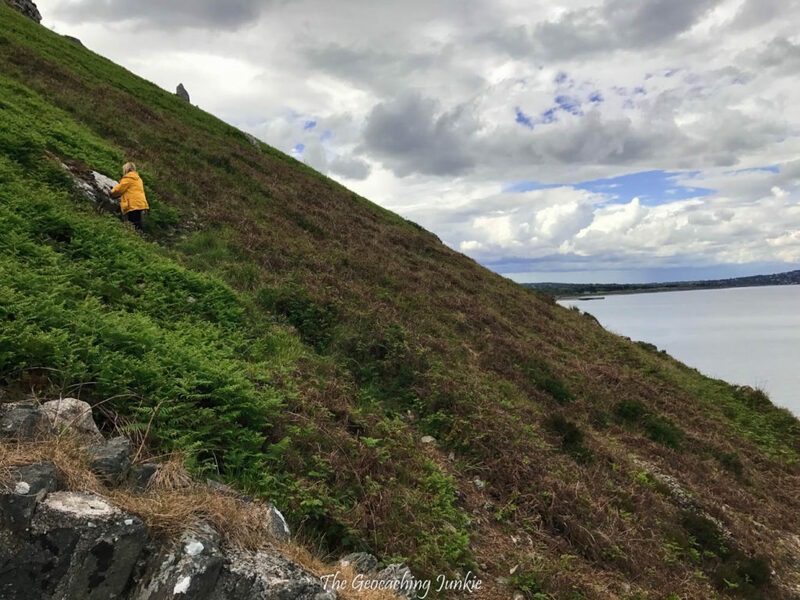 In addition to the great geocaching opportunities along the Cliff Walk, there are fantastic views across the Irish Sea, and if you’re lucky you might catch a glimpse of some of the seals that occasionally laze around the rocks at the foot of the cliffs. At the point where you leave the main path to head for Europe’s First, you will see a ruined building: Lord Meath’s Cottage. There are two stone pillars on either side of the path – these are what remain of what was once a toll gate. It cost the public a penny to enjoy the Cliff Walk and it was open every day except Friday, when the path was closed for the Earl of Meath‘s personal use. Not only is GC43 hidden in a scenic spot, there is a rich history behind the location chosen by Chris O’Byrne to place the first geocache in Europe on 3rd June 2000. It’s not unusual to meet other geocachers along the trail here, as GC43 has been found more than 6,500 times at the time of writing. During the summer months, there can be multiple finders each and every day. The cache is looked after by the lovely Donnacha, who adopted it many years ago and keeps a watchful eye to ensure the container stays in good shape. If you’re short on time, a day trip to Bray from Dublin Airport is eminently doable (flight delays notwithstanding of course!). You can hop on the hourly Aircoach service from terminal 1 or 2, and approximately 1 hour and 15 minutes later you’ll be in Bray. You can buy tickets at the Aircoach stands at either terminal, or online, where you’ll find the best fares. There are two stops in Bray: the first is on Castle Street in the town centre and the second is opposite the Wilton Hotel. The start of the Cliff Walk is a walk of 2.5 km from the first stop or 2.2 km from the second bus stop. If you’re coming from Dublin City Centre, the DART is by far the most efficient mode of public transport and the spectacular views along the stretch between Dalkey and Killiney stations are not to be missed (try to nab a window seat on the left side of the carriage!). You can find timetables by station on Irish Rail’s website here. Dublin Bus number 145 is an alternative to the DART, starting from Heuston Station all the way to Bray. It runs every ten minutes between 7am and 9pm Monday – Friday, with less frequent services outside of these hours (see full timetable here). If you’ll be using public transport during your stay, the best value ticket is the Leap Visitor Card, which you can use on Dublin Bus, Luas (tram) and the DART and commuter trains. 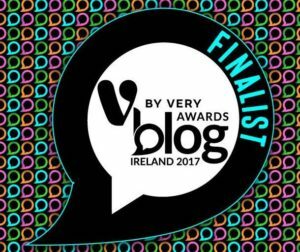 You can buy online, or at specific locations at Dublin Airport and in Dublin City Centre (see the Leap Card website for details). If you’re driving, the closest parking to GC43 is at Raheen Park (N 53° 11.714 W 006° 05.340). It’s free to park here for as long as need. Alternatively, you can park along Strand Road, which runs parallel to the promenade. However, you need to pay for the privilege with pay & display ticketing in force Monday to Saturday. It’s free on Sunday but can get really busy on a good weather day. You don’t need to go far around the Cliff Walk to get to Europe’s First and of course, you could just turn around and come back once you’ve got your name in that all important logbook. However, if you’re in to great views and nice caches, and you have the time, it’s worth doing the walk in its entirety. You could get the DART all the way to Greystones, then walk back to Bray, or vice versa. Even if you don’t want to take in the whole walk, it’s worth going a little further to nab the traditional cache, Brunel’s Folly (GC3FVQQ). It’s got a terrain rating of 4.5 and is definitely not a cache for those afraid of heights, but if you are up for the challenge, it will lead you down to a disused railway tunnel. 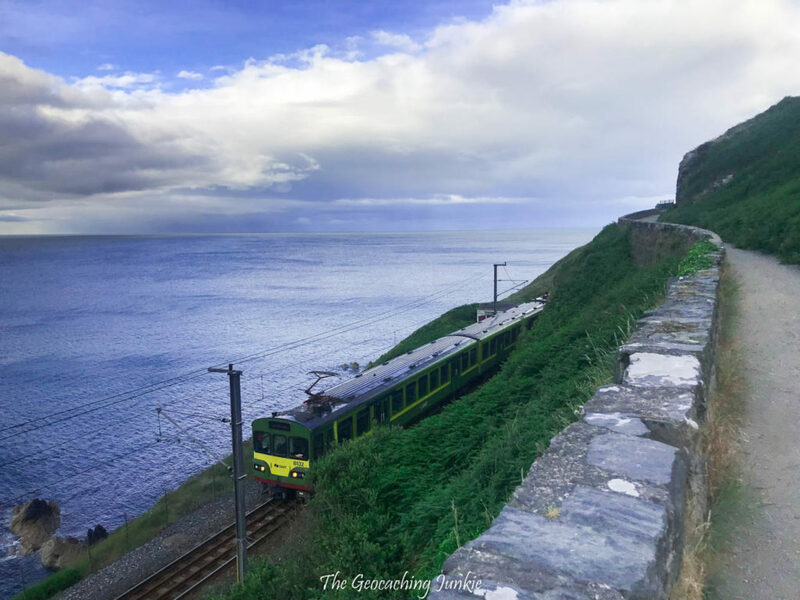 The journey from Bray to Greystones may be one of the most picturesque in Ireland, but it comes at a high cost to the rail operators, with the line having to be moved several times over the years due to rock fall. This cache takes you down to where the railway once journeyed. If you fancy even more dramatic views, you need to go higher! 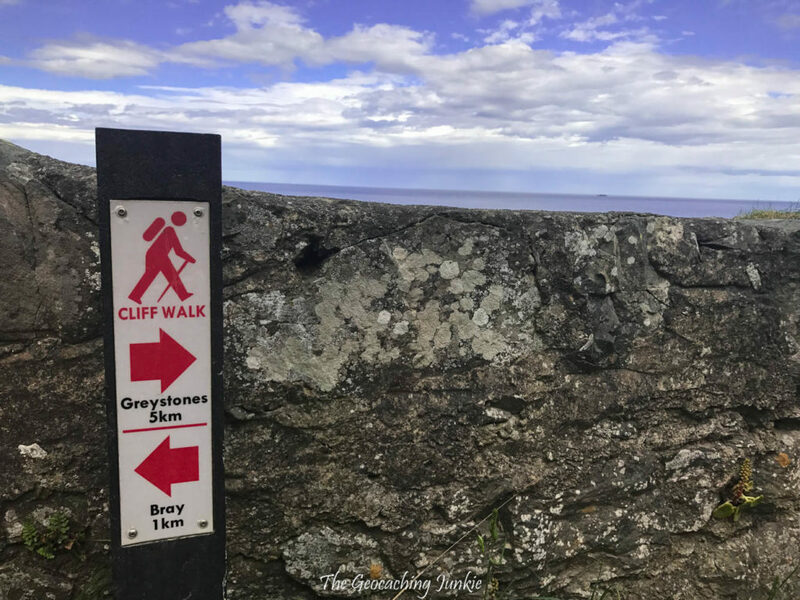 You can take a very steep route to the top of Bray Head via the Wherigo cache, A Walk in the Garden – Bray Head, (GC5TFZ4), or you can backtrack to Raheen car park and take the slightly more easy-going way to the top. 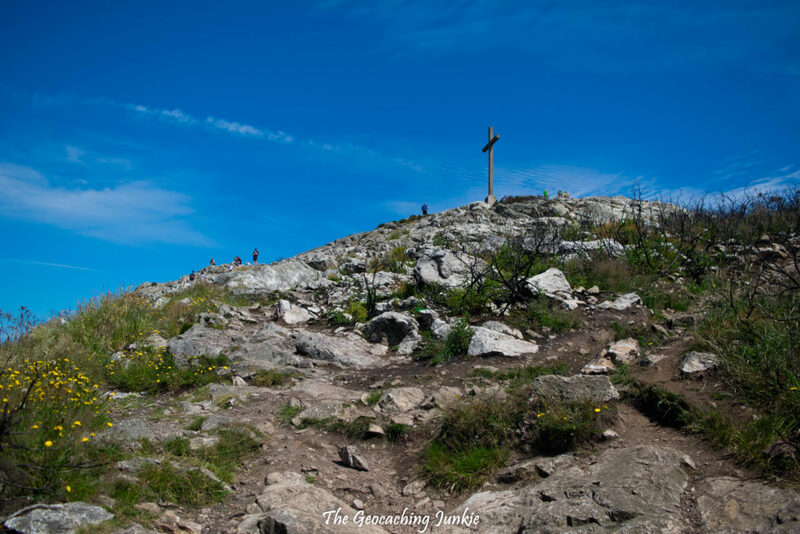 Bray Head is easily identified as the hill with the cross at the top – it was placed there in 1953 and has become a landmark synonymous with the town. On a very clear day, you can just about see the Isle of Man and Wales from the summit, but even if you can’t, the views are pretty striking, over the town of Bray and out to the Wicklow Mountains. Killruddery House, located on the southern edge of Bray, is the family seat of the 15th Earl of Meath. You can take a tour of the house, which dates originally from the 17th century, with remodelling completed in the early 1800s in the Elizabethan style. The manicured gardens date largely from the 17th century and are a joy to explore in the summer (they’re open from May to October). There is a farm market held in the courtyard every Saturday, with locally produced foods and crafts aplenty on offer. Entry to the gardens is €7.50 for adults and €2 for children (under 4s are free). The farm market is free to enter. 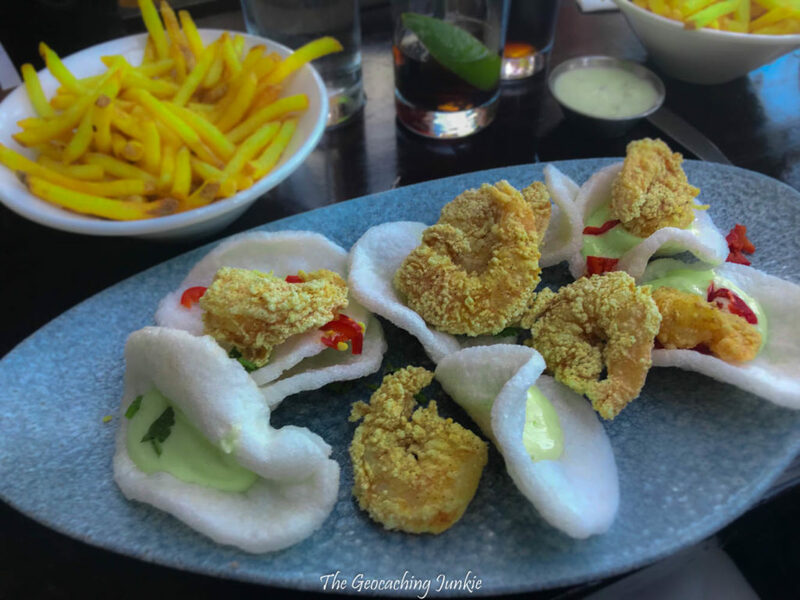 Bray has become something of a foodie paradise in recent years, with a plethora of new eateries opening up, catering to a wide range of tastes. There are too many to mention all, so I’ll keep it to a few of my favourites along the coast. 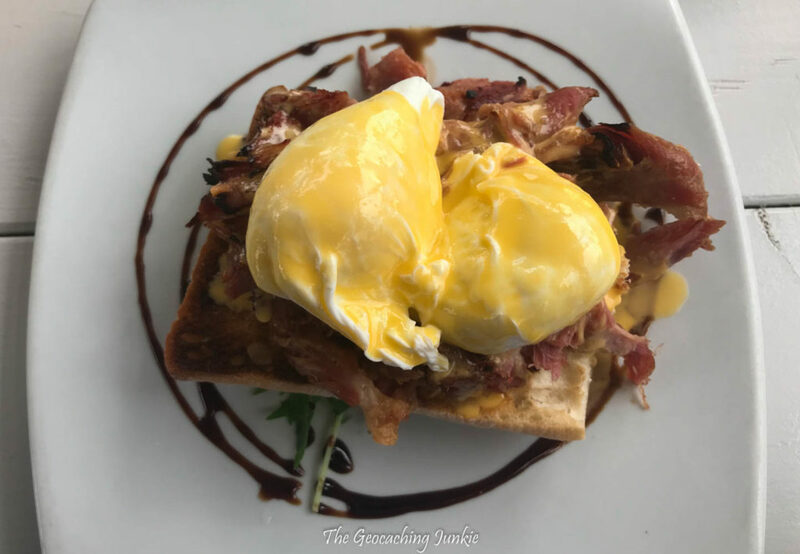 This amazing cafe and restaurant located the harbour is especially popular at brunch, and while they don’t take reservations, they will take your phone number and give you a call as soon as a table opens up. You can use that time to nab some of the geocaches around the harbour, and believe me, the food is worth the wait! 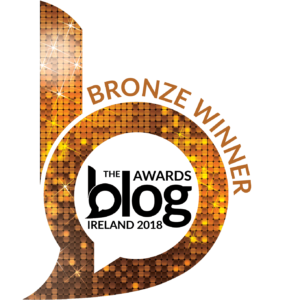 The humble burger is big news in the Dublin area right now, with an abundance of places competing for the title of best burger in Ireland. Located close to the DART station, Box Burger is open Wednesday to Sunday. 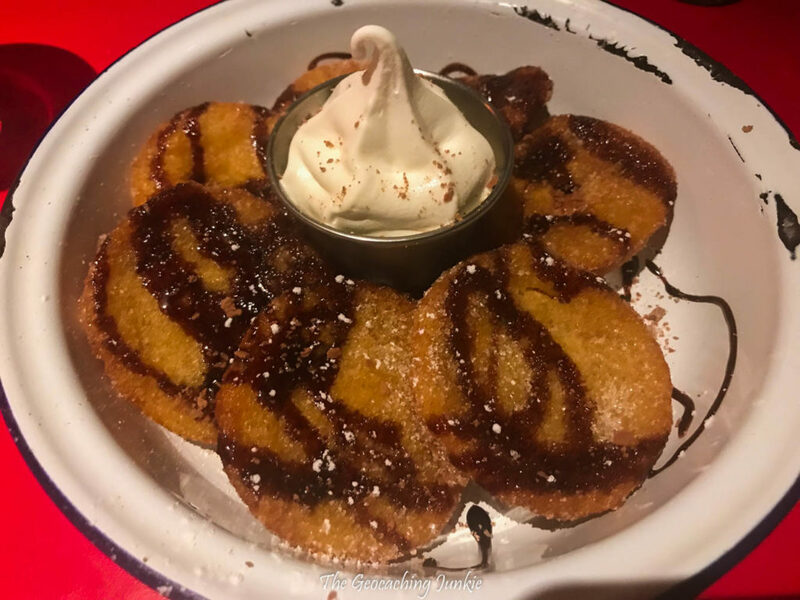 Their burgers are delicious, and their mini donuts are a must-try for dessert if you’re not too full! It’s worth booking in advance, especially at the weekend. A firm favourite of our family for many years now, the Martello Bar has been the venue for many of our celebration dinners. Serving traditional bar food, sourced locally where possible, there is something to suit most tastes on the menu. If you visit during good weather in the summer, try to grab a table on the upstairs terrace for great views over the Victorian promenade. 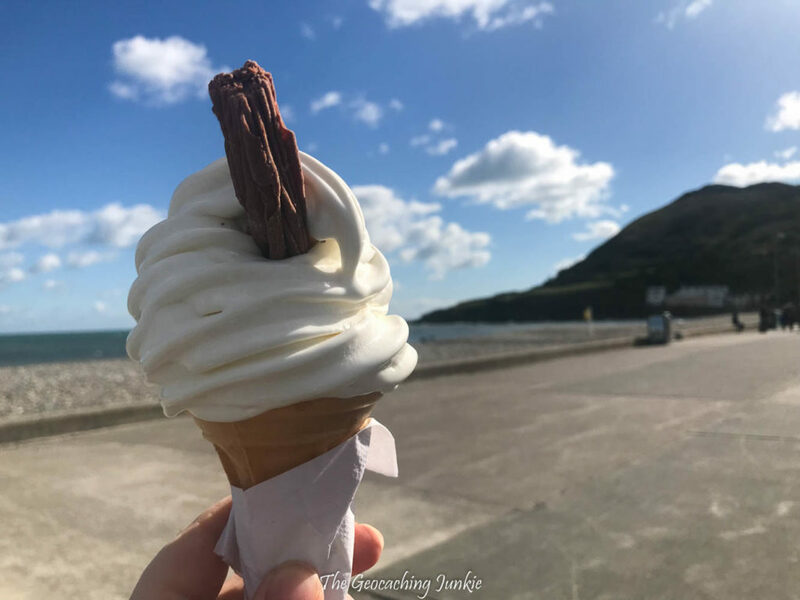 Bray is not short of ice-cream parlours – it is by the sea after all! The classic 99 ice-cream has been perfected at Rainbows on the southern end of Strand Road (near the junction with Putland Road). A trek around the Cliff Walk is definitely worthy of a delicious reward and you’ll be hard pressed to find a tastier soft serve ice-cream anywhere else. 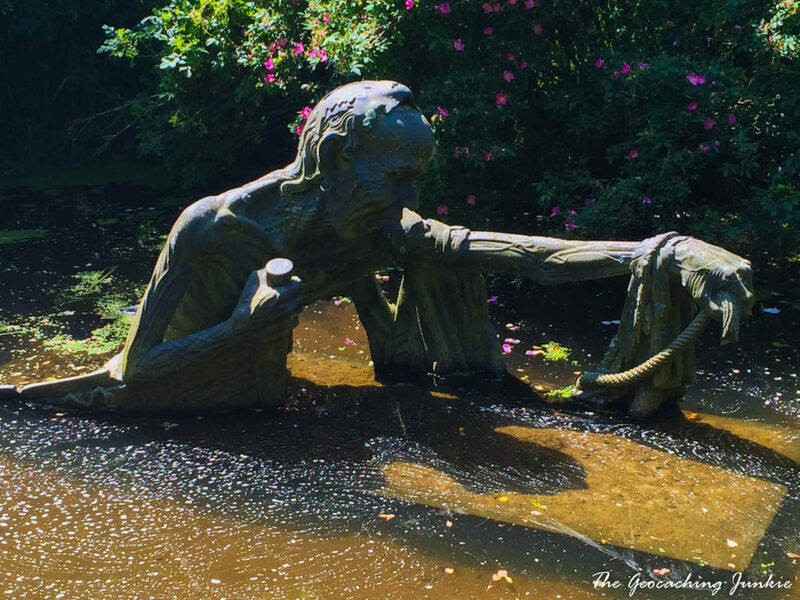 If you’re not on a fleeting trip to Bray, and have a car to get you around, there is lots more to see in the garden county. In fact, there are far more places worth seeing than I could mention here or I’d be writing forever. I’ve handpicked a few of my favourite and oft-visited places, all of which offer geocaching opportunities too. 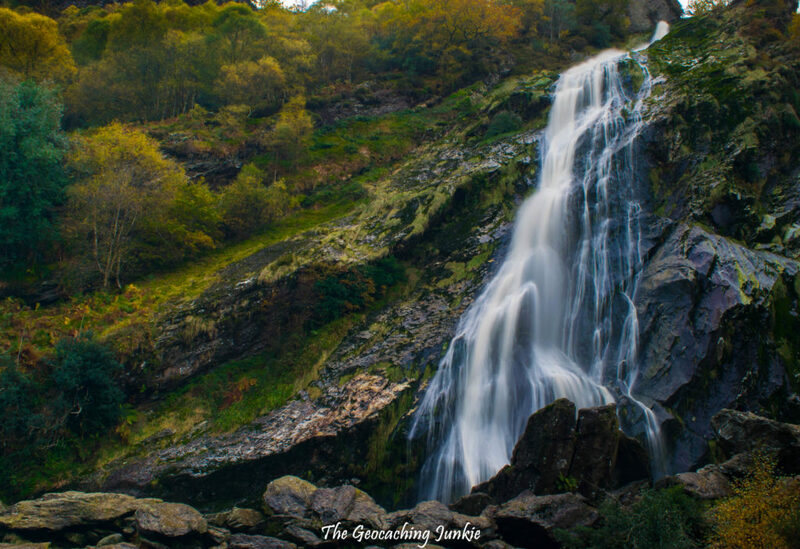 Located just outside the charming village of Enniskerry, Powerscourt Waterfall is the highest in Ireland at 121 metres. Set amidst beautiful woodland, there are lots of trails to explore, as well as plenty of space for a summer picnic or barbecue. There is a kiosk serving drinks, ice-cream and hot food open daily in the summer (June to August) and every weekend year round, weather permitting. My favourite time of year to visit is autumn, when the array of colours create a picture-perfect scene. Entry to the waterfall costs €6 per adult and €3.50 per child under 12 (under 2s go free). 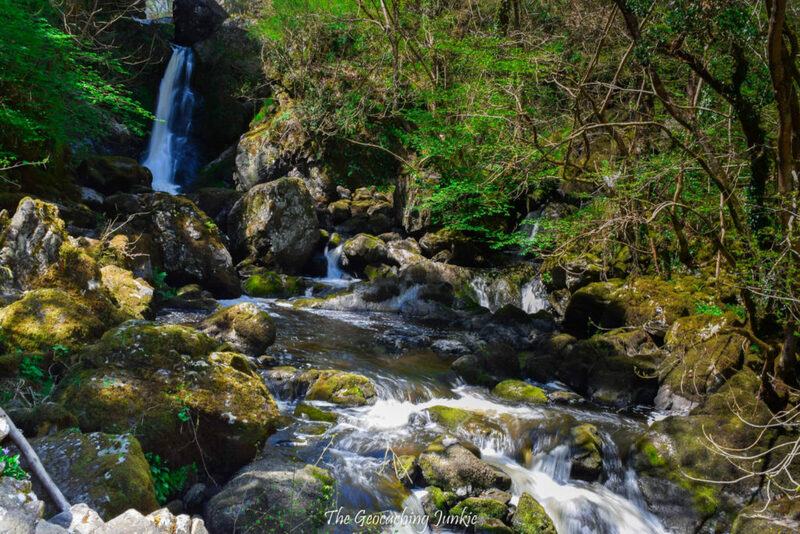 While there are no geocaches inside the parkland surrounding the waterfall (since it’s private property with an entrance fee attached), there are great caching areas nearby, including Curtlestown Wood and along the Knocksink Wood Nature Reserve. 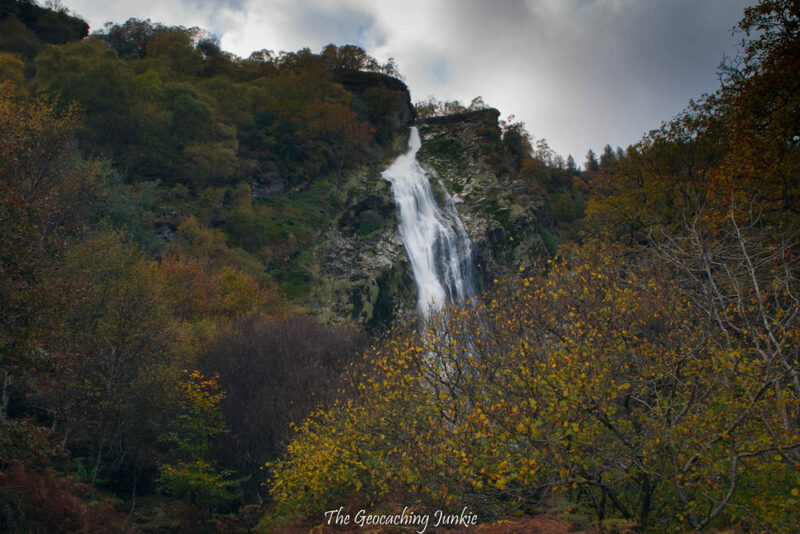 Wicklow Mountain National Park offers a plethora of hiking and geocaching opportunities for those that love to walk in the hills. Check out the cache series A Walk in the Garden for various terrain difficulties to suit most hikers. If you’re more inclined to view scenery from the comfort of your car, then a drive to the Sally Gap is a must-do. The ‘Gap’ is the highest point of the regional road R759, where it meets the Military Road. 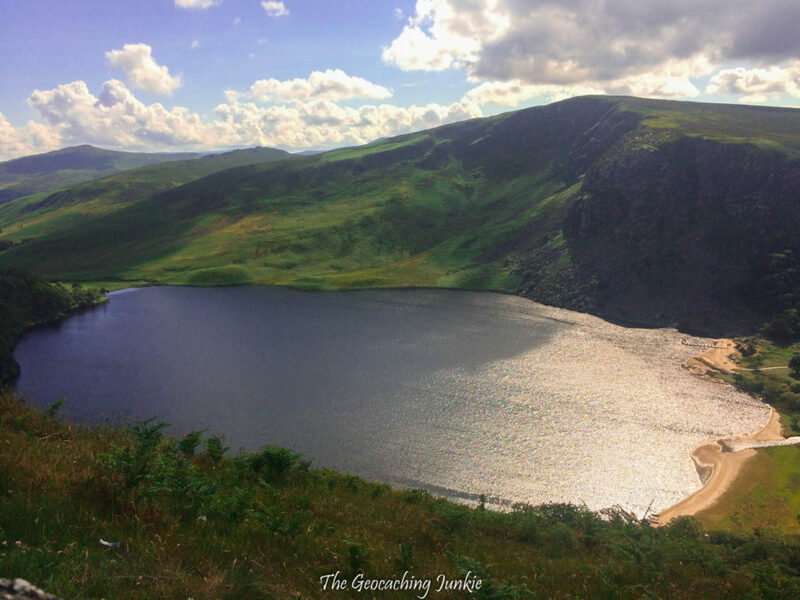 Driving from the east, you will pass various viewpoints, including one where you can look down on Lough Tay, also known as Guinness Lake. Not, as the name suggests, a lake of the Black Stuff, but rather a lake owned by the famous Guinness family. It’s one of the most photographed locations in Wicklow and is currently used for filming in the TV Series Vikings, so you may see spot the makeshift Viking village and longships on the lake. There are lots of caches in the Wicklow Mountains National Park, but if you aim for the D1/T1.5 traditional, Sal’s Gap (GC1J8H5), it will bring you on a scenic journey, regardless of what route you take to get there. **Note that the road can often be unpassable in the winter so check weather reports before setting off in the colder months. 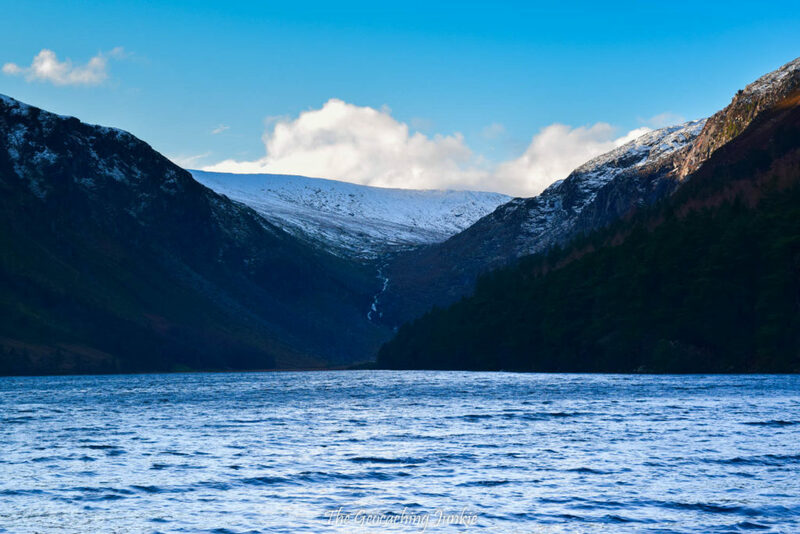 One of County Wicklow’s most popular tourist attractions, Glendalough is about a 40 minute drive from Bray. Glendalough (Gleann Dá Loch) means ‘Valley of the two Lakes’, the name derives from the two upper and lower lakes that sit in the glacial valley carved out thousands of years ago. 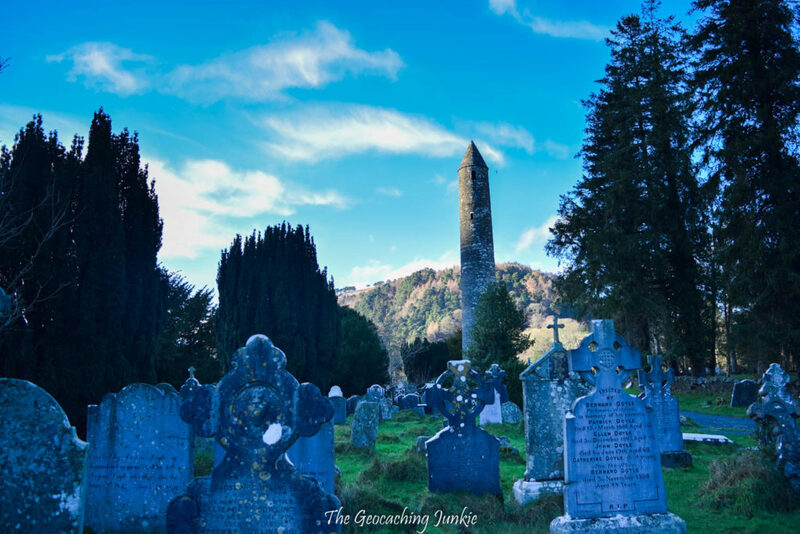 As well as the beautiful scenery, Glendalough is famous for its Early Medieval monastic ruins. St. Kevin founded a monastery here in the 6th century and the round tower and church ruins are well worth a visit. The site attracts over a million visitors annually and geocachers can enjoy a variety of hides, including several EarthCaches and a new virtual reward cache. If you’re looking for something a little different to do in the garden county, you’re unlikely to find somewhere more unique than Victor’s Way Sculpture Park. Located a 25 minute drive from Bray, the park is for adults only and is meant to be a place of contemplation, where people aged between 28 and 65 can escape the rat race, relax and de-stress. 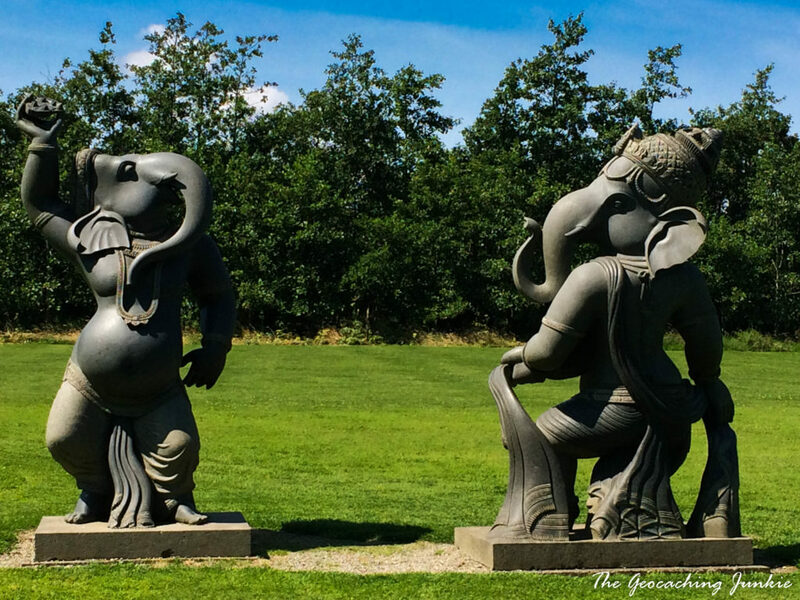 The 20-acre park, featuring black granite sculptures all carved in India, is the brainchild of Victor Langheld. What was meant as a garden of reflection and meditation, became a place for families to picnic and people to walk their dogs, so Langheld has imposed strict rules now regarding entry – no kids, no dogs and no chatty companions to help ensure peace and quiet. The entry fee is a modest €5 and the sculptures are breathtaking. Make sure to find the geocache, Wicklow Elephants (GC1J6NB), outside on your way out! 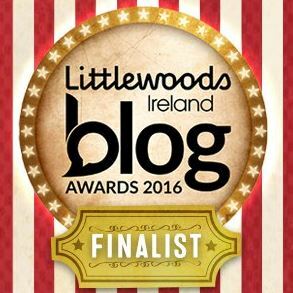 There are lots of beautiful forests in County Wicklow, so I will just mention one of my favourites. Devil’s Glen is located just outside the village of Ashford and offers walkers two marked trails. The Seamus Heaney Walk was opened in 2007 in the presence of the Nobel prize-winning poet himself. Heaney had a second home in the area and recited lines of poetry he had written in the glen at the walk opening. The trail is dotted with benches and stones inscribed with his writing. its echo through the gorge sounded as a “Satanic power announcing some great doom”. You will also come across sculptures from artists from around the world throughout the forest, enhancing an already stunning setting. In April and May, Devil’s Glen is a great location to see a carpet of bluebells in bloom – a sight not to be missed if you’re visiting Wicklow in the spring. 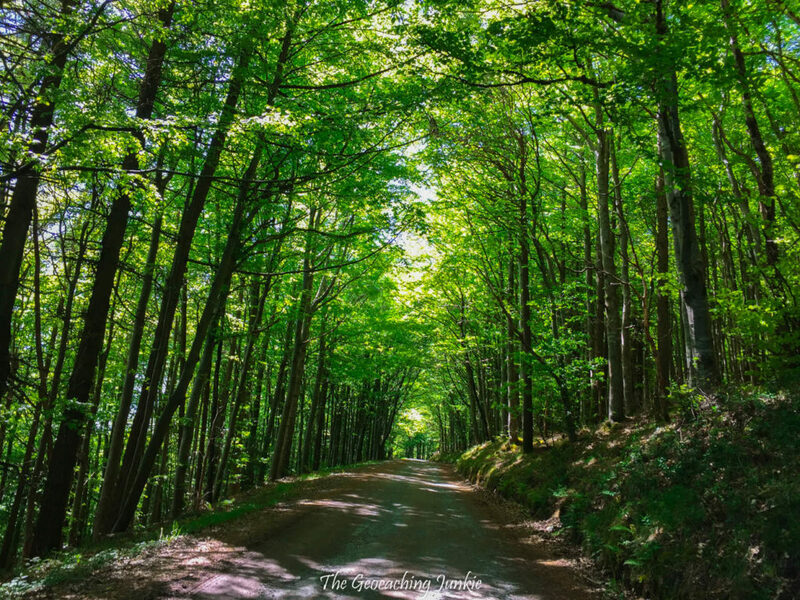 Check out traditional cache Devil’s Delight (GCVNG3) to get you to the forest. The Garden County is so-called for a reason, with the many hills and forests intermingled with beautifully manicured gardens. 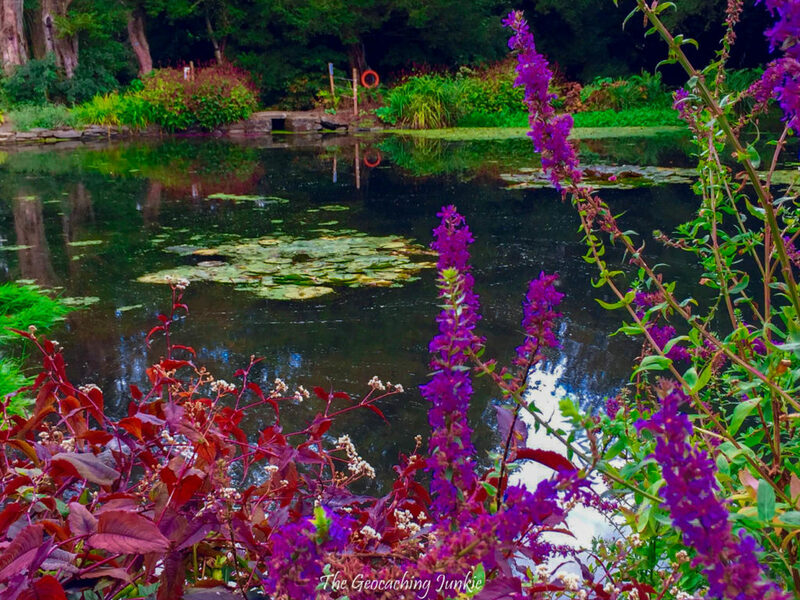 Kilmacurragh Arboretum, located 10 minutes outside Rathdrum, is a sister garden to the National Botanic Gardens in Glasnevin, Dublin. The serene gardens date from the 19th century and are home to several plant species from the Southern Hemisphere. 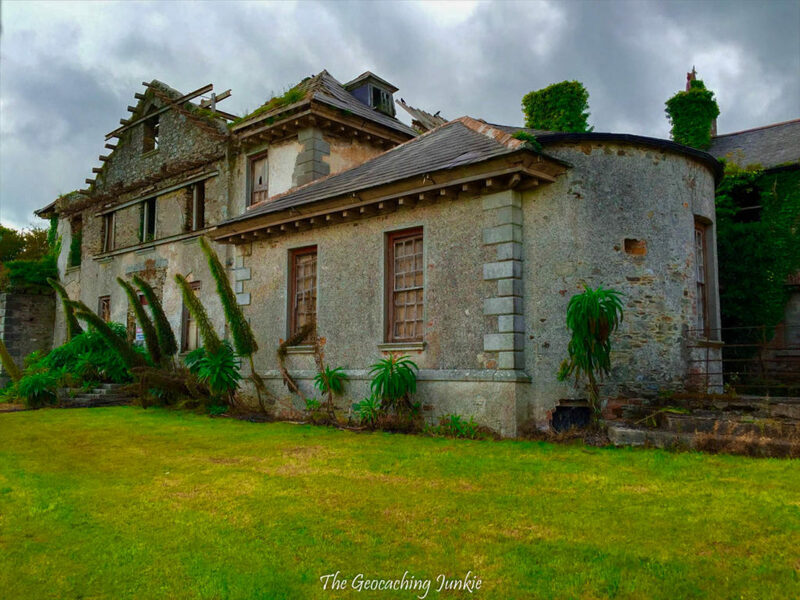 The ruined Kilmacurragh House, which dates from the late 17th century, is still standing derelict in the gardens. The house was built on the site of a ruined medieval abbey. The traditional cache, Kilmacurragh Arboretum (GC2129N) will lead you to this beautiful location. If you’ve ever dreamed of having your picture taken with the famous Hollywood sign, but can’t make it to California, this is your chance – well, kind of! 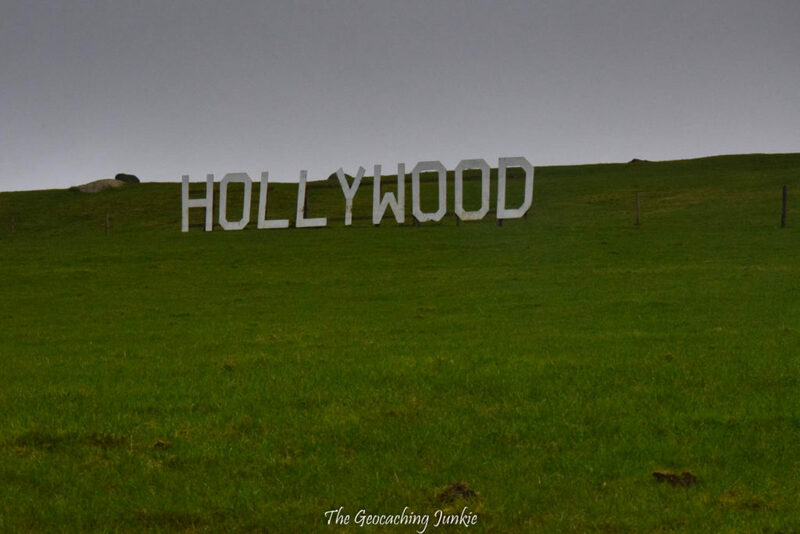 The village of Hollywood in west Wicklow has had the name for quite a bit longer than the famed neighbourhood in Los Angeles – probably over a thousand years longer, in fact. A geocache called Welcome to the real Hollywood (GC3F8ZF) will lead you to a terrific vantage point for selfie-taking with the big sign. I hope you found this guide useful if you’re planning a trip to Bray to find Europe’s First. If you’ve already visited GC43, what were your impressions of the cache and Wicklow? Do you have any additional tips for visitors?